The changes include Jim O'Brien as an assistant coach, former Villanova guard Alvin Williams as a player development coach, and several internal role changes. By Derek Bodner·	 8/4/2016, 3:28 p.m. 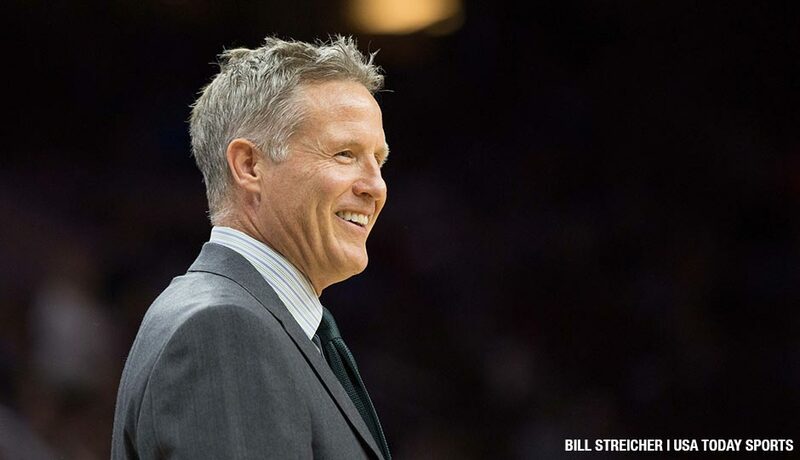 The 76ers announced several changes to head coach Brett Brown’s coach staff. The Philadelphia 76ers have announced several changes to head coach Brett Brown‘s coaching staff. The most notable change is the addition of former head coach Jim O’Brien as an assistant on Brown’s staff. O’Brien, a graduate of Saint Joseph’s University, has a career 303-327 record as an NBA head coach, including a 43-39 record with the 76ers in 2004-05. He has also been the head coach of Boston (139-110) and Indiana (121-169). O’Brien’s most recent stint was as an assistant coach with the Dallas Mavericks in 2012-13. Also joining the ranks of assistant coach is Kevin Young, who has been the head coach of the Delaware 87ers over the past two seasons. Young, who played college basketball for Clayton State University, was previously a head coach for the Iowa Energy and Utah Flash in the D-League. Eugene Burroughs, who has been the shooting coach for the 76ers the past two seasons, will replace Young as head coach of the 87ers, with John Townsend taking over the vacant shooting coach position with the 76ers. In addition to the above changes, the 76ers are naming Chris Babcock as assistant director of player development, John Bryant and Alvin Williams as player development coaches, and formally announced the promotion of Lance Pearson to director of applied analytics. Pearson previously announced the promotion on twitter. The moves bring in a couple of new faces to the team as Williams, O’Brien, and Townsend all come from outside the organization. Williams, a native of Philadelphia, was most recently the Raptors director of player development from 2010 through 2013. Townsend has spent the past three seasons with Memphis, the first as a shooting coach and the last two as the Grizzlies’ director of player development. Babcock (previously the player development assistant with the 76ers), Young (87ers head coach), Bryant (87ers assistant coach), Pearson (coordinator of coaching analytics), and Burroughs (76ers shooting coach) were internal promotions.